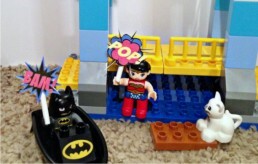 I think it’s pretty safe to say that I love Superheroes, in fact as a family we all do. 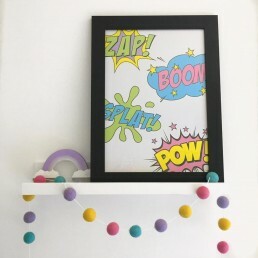 I’m also pretty crafty, and my youngest Samuel loves making anything, so check out these 5 Superhero crafts for kids. 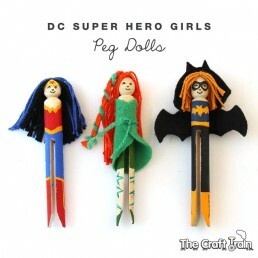 Based on the hit DC Entertainment programme DC Super Hero Girls, these peg dolls are super easy and fun to make. 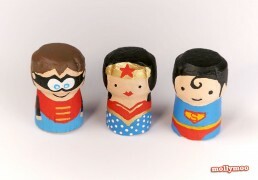 Of course you could make them any superheroes you wanted. Perfect for some action packed role play! 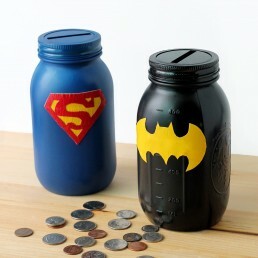 If your kids have a Superhero bedroom, then these mason jar banks are the perfect accessory! 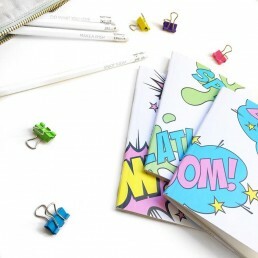 Not only do they look fab, but they can learn about saving money at the same time. I love Mod Podge, so when I discovered the Mod Podge Acrylic shapes in this project I knew I wanted to try it out. 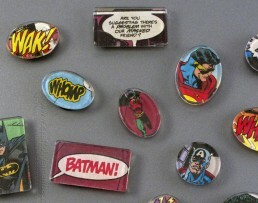 These magnets are super cute and a great craft project for older kids to try. 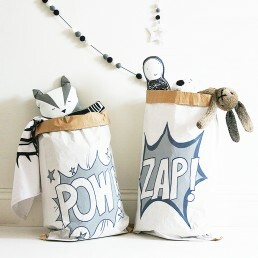 Another brilliant Superhero crafts for kids with big imaginations, and would also make perfect decor in a Superhero room. 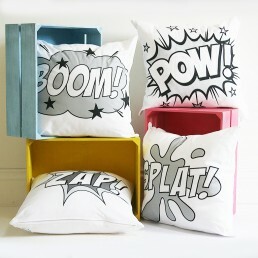 Perfectly sized, these speech bubbles bring to life their superhero characters for hours of imaginary play!